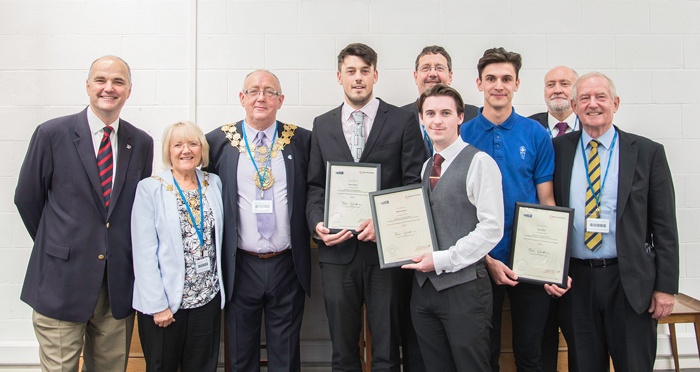 Barry Sheerman MP and Councillor Paul Kane, Mayor of Kirklees, presented Reliance’s qualifying apprentices with their certificates, marking the successful achievement of their 4-year apprenticeship. Representatives from Kirklees College, five local secondary schools and the Mayoress joined the celebrations. Guests were taken on a tour of the company’s Huddersfield facility and had the opportunity to meet and talk to apprentices past and present. The Mayor thanked everyone involved for “a truly wonderful morning” with Barry Sheerman MP describing Reliance as a “high tech company at the cutting edge” that made him feel “tremendously proud of engineering”. Reliance has run an apprentice scheme for over 50 years. It has its own, independently accredited, training school, complemented by courses run by Kirklees College. “Our apprentice scheme is such an important part of our ability to develop the specialist engineering skills we need” explains Managing Director, Andrew Wright. Of the three apprentices who have qualified this year Bradley Jessop is now working in Production Engineering, Tom Broom in Technical Sales and David Black in Metrology – the science of measurement. The event today strengthened links with local schools with lots of animated dialogue between the employees and teachers during the tour and a challenge from Andrew to the visitors to become “ambassadors for engineering”.